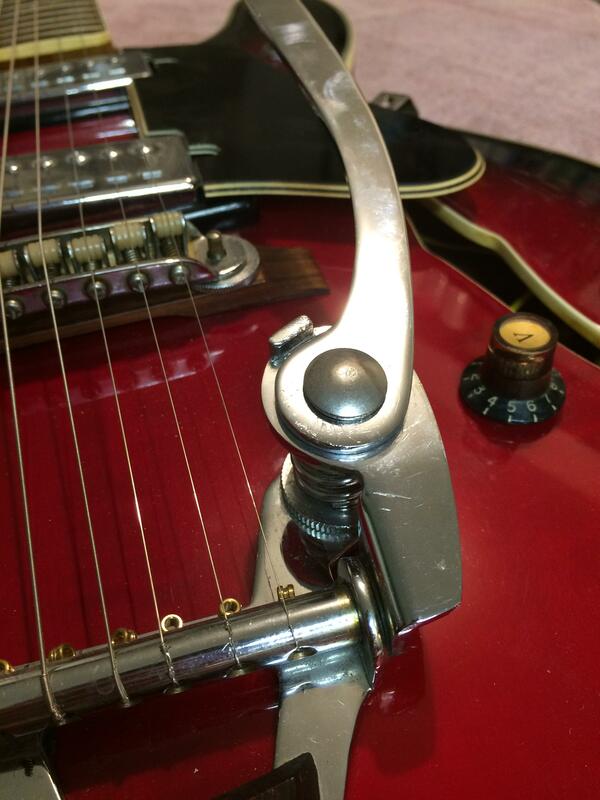 I've had trouble with the Bigsby knockoff on this guitar since day one. 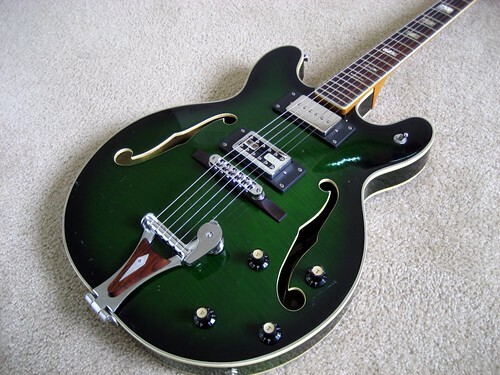 It doesn't do nice things to the tuning when used. It came missing some pieces and the quick hardware store hack wasn't great. The spring really needs something to seat it and there's no good substitute for the hardware that attaches the arm to the vibrato lever. 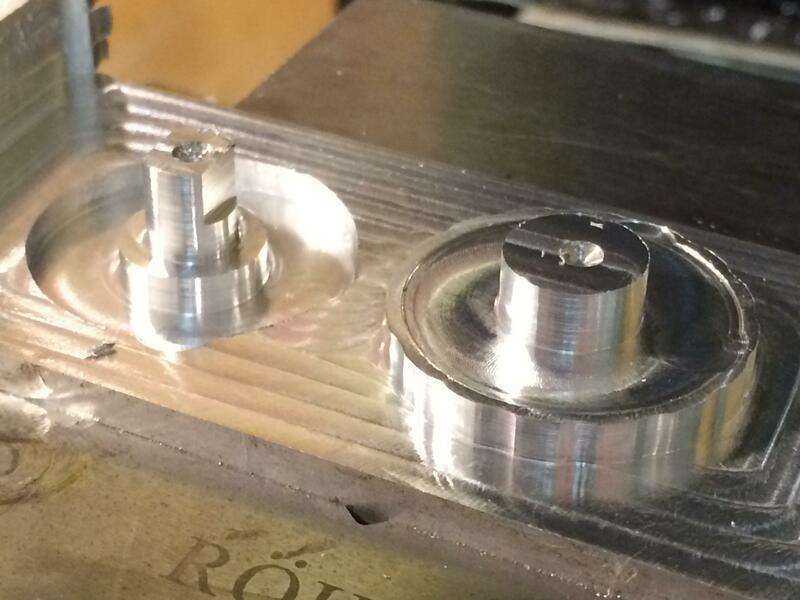 But I've got a CNC mill in my arsenal now so I decided to make replacements. 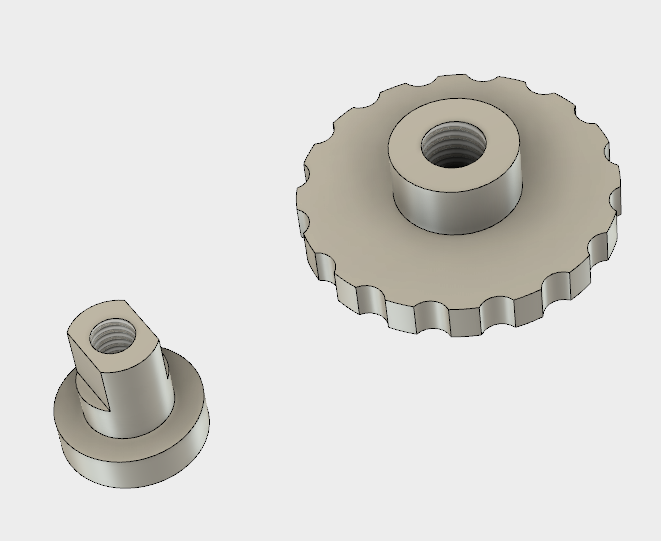 The model and CAM were done in Fusion 360. If you want to make your own let me know and I can send you the design. I need to find a nice screw for the arm attachment but otherwise this came out nice. 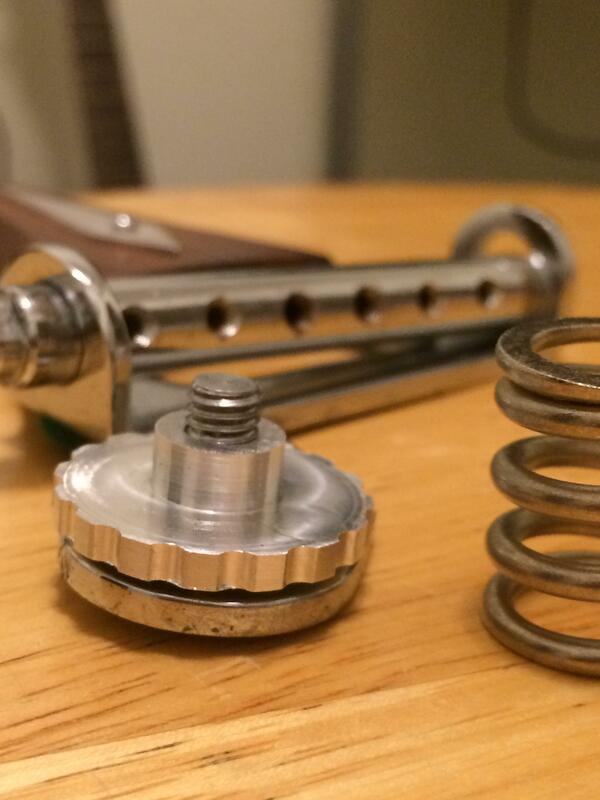 Now there isn't any slop in the arm and the spring height can be adjusted. 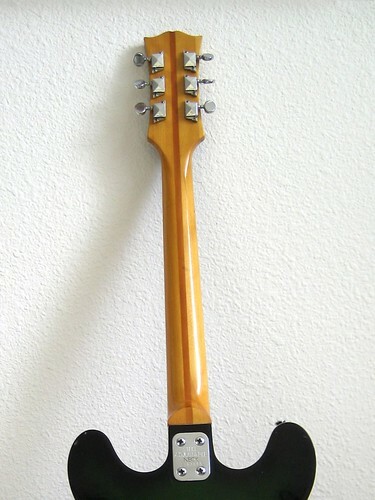 The tuning holds fairly well as long as I'm careful to not pull up on the arm. It doesn't return to zero if it's pulled up. 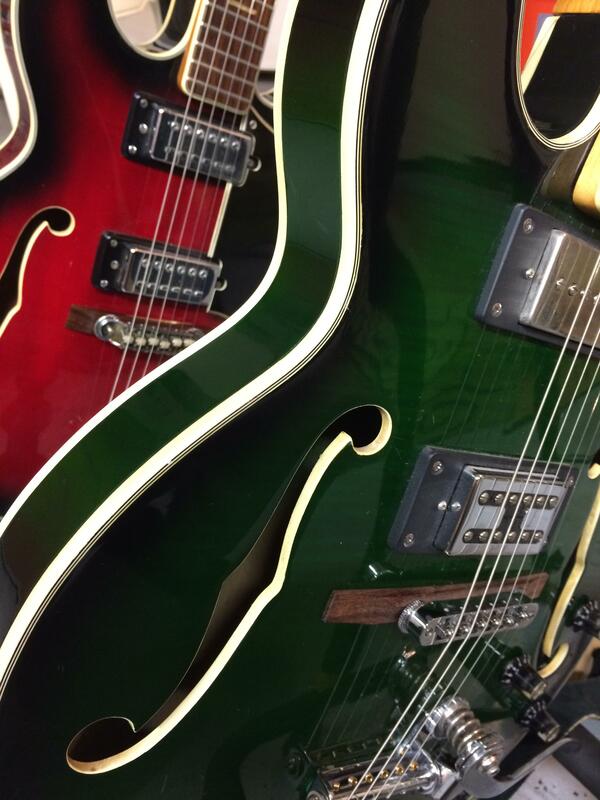 All of the Bigsby designs have a second rod that the strings go under instead of just the string axle. I suspect there's some good reason for that. The spring is a bit too strong. 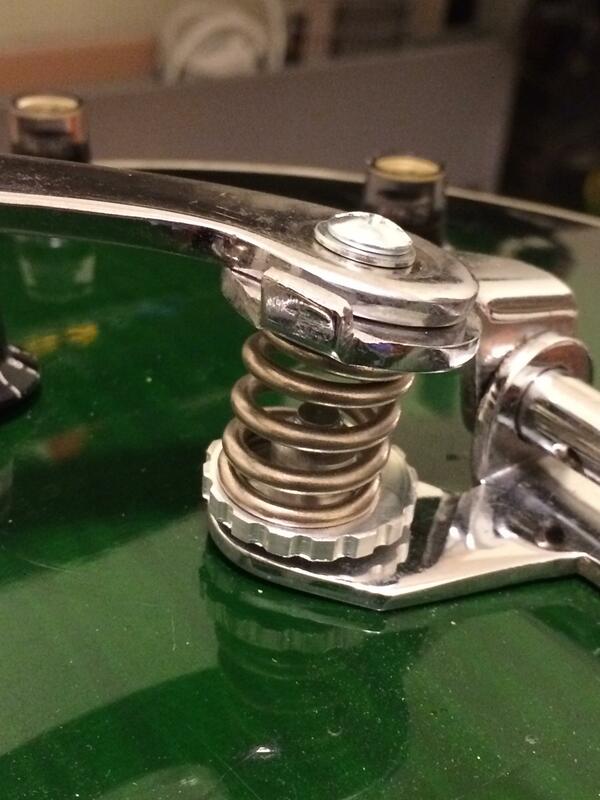 I've tried a couple Bigsby replacement springs. I need to find one that is much lighter and possibly shorter so I can dial the arm placement in better. I found that a 1/4-20 carriage bolt has square flats that almost fit into a 5/16" hole. 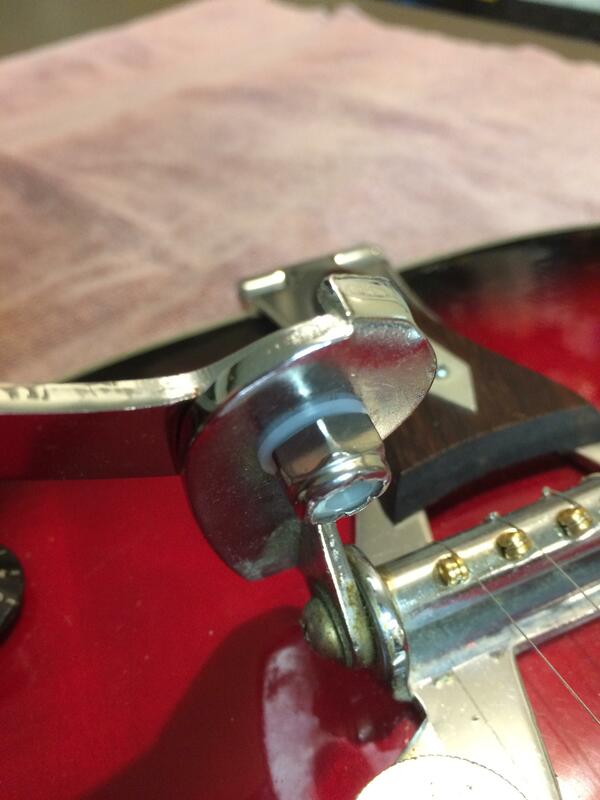 I modified the Bigsby arm hole with a square file to allow the bolt to seat in it. 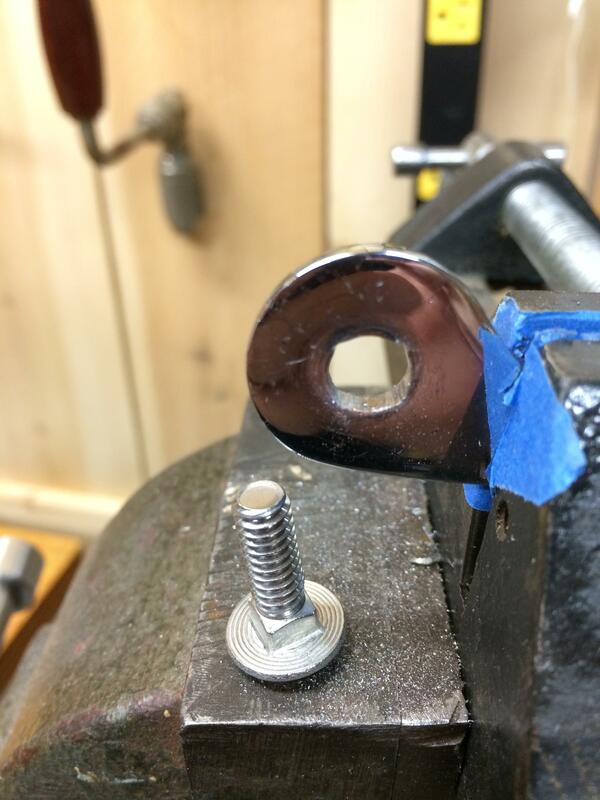 This is a great solution as it keeps the bolt from spinning while you tighten it. On the bottom side I put a nylon washer and a nylon locknut. Not perfect but it works. 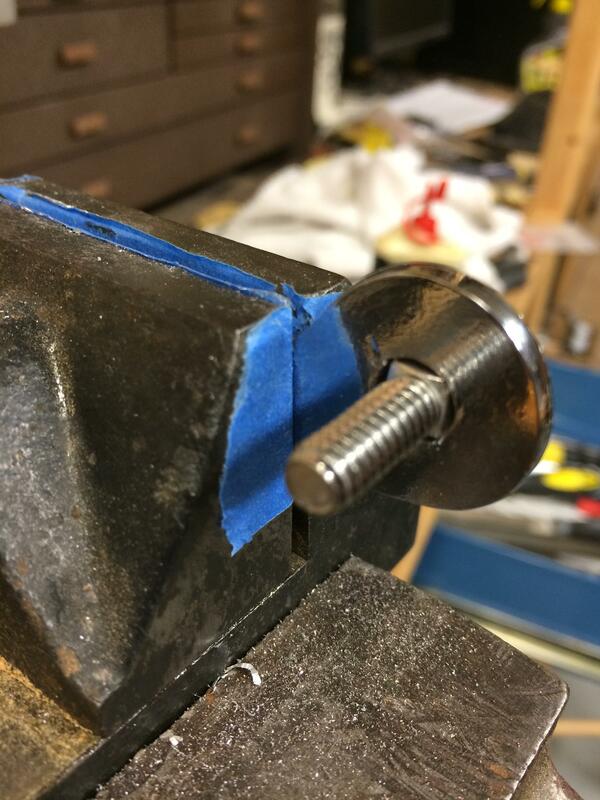 The 7mm clearance hole on the arm lever is a little sloppy on the 1/4-20 bolt thread but it works well enough. All put together it actually looks pretty clean.